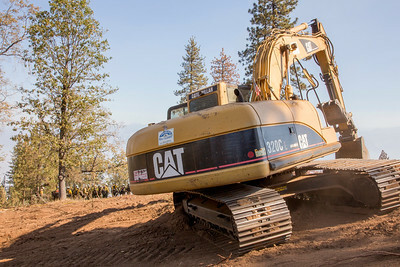 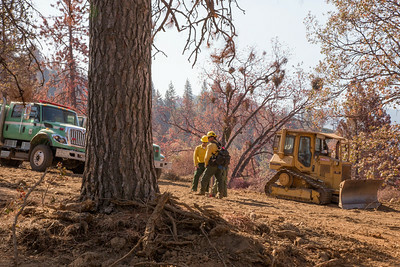 Burn operation to secure dozer line along McKenzie Ridge and reach full containment around the fire perimeter: SOFR John Kraushaar, PAO Alicia Embrey & PIO Amy Masi escorting media, SOFR Sam Wilbanks, Ops Brian Rhodes, Ops Kit Bailey, Branch Director Steve Murphy. 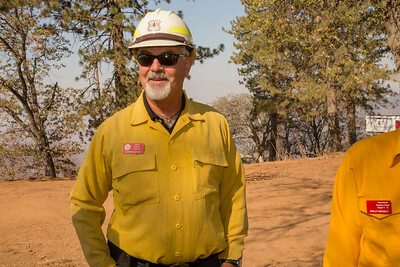 DIVS(t) Mark Mott, PIO Sean Collins. 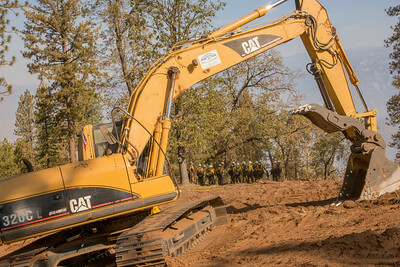 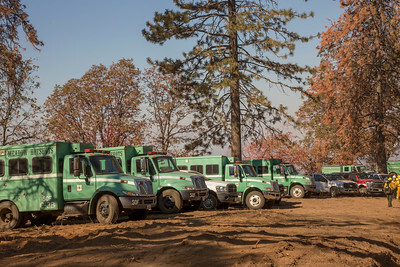 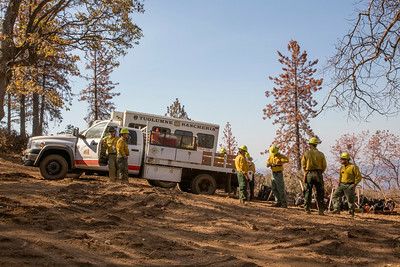 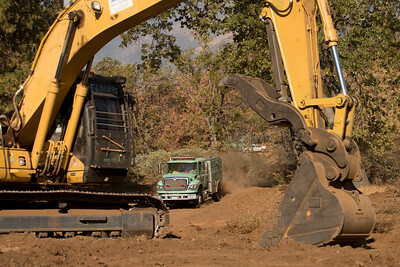 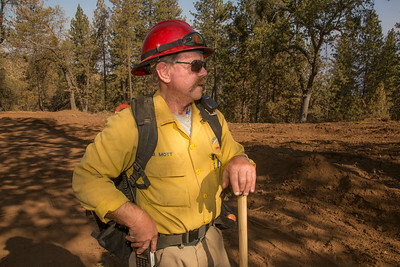 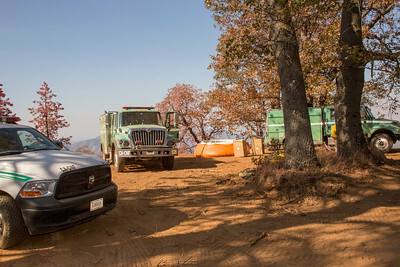 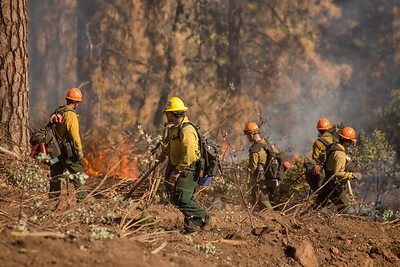 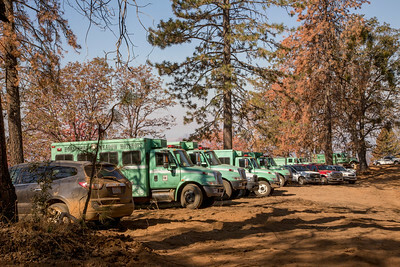 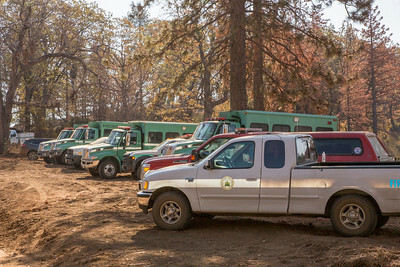 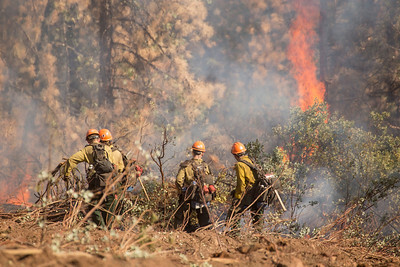 Hand ignition begins with Horseshoe Meadow Hotshots and holding resources Groveland Hotshots, Cleveland NF Engine Strike Team, and the Tuolumne Rancheria Crew. 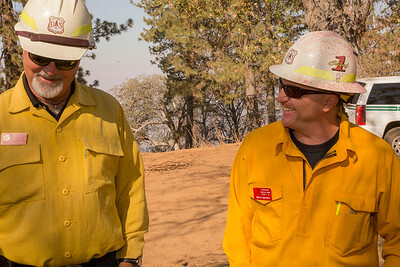 Firing Boss Steve Molacek (LP IHC Supt) with Trainee Ryan Ross (Horseshoe Meadow IHC) and Aerial Ignition Firing Boss Joe Gonzales (HM IHC Supt). 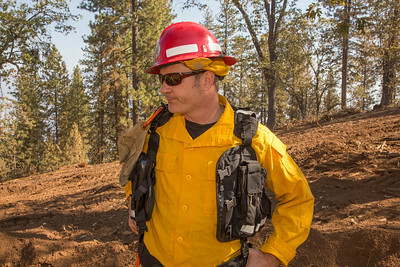 Branch Director(t) Gary Monday, DIVS Matt Prentiss, SOFR(t) Jason Ralls, SOF2 Don Will. 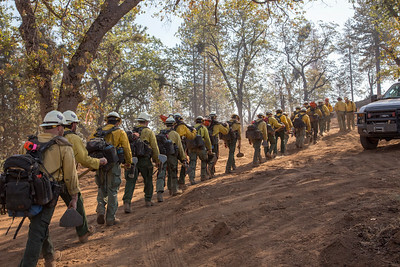 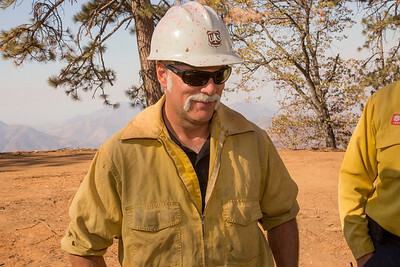 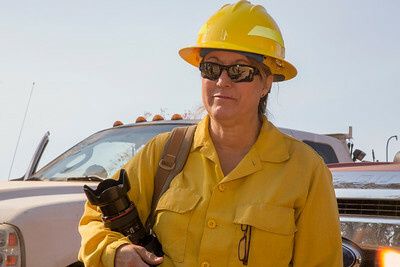 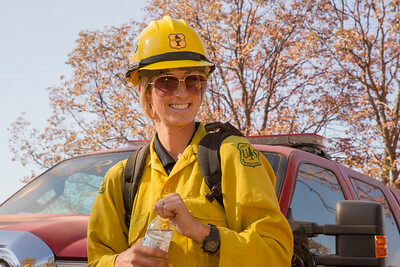 Water tender filling a pumpkin; FBAN Brendan Ripley with SOFR Sam Wilbanks; firefighters cool the edge and flareups with hoses; continuing the low intensity burn, Firewatch Apache Infrared helicopter assesses depth and monitors for spot fires; Los Padres Hotshots take the next section of line and continue the burn. 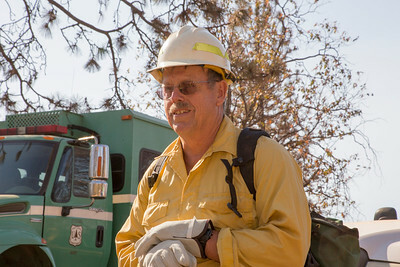 FBAN Brendan Ripley taking fire behavior observations. 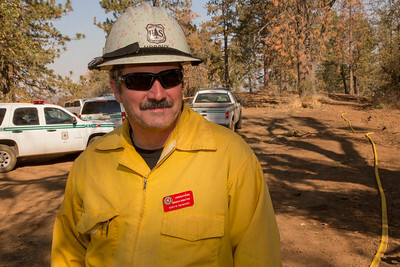 FOBS Troy Maguire. 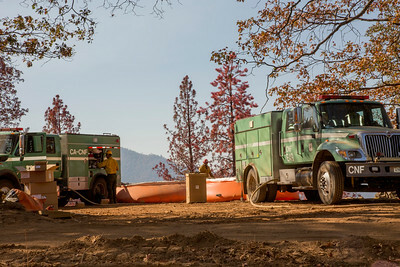 Wind shift carries smoke over the line and an Erickson Air Crane cools the green with water drops to prevent spot fires and slopovers. 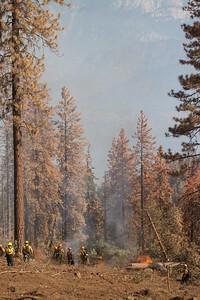 Overhead pause at a high point to observe the burn progression as Los Padres take it out to the end. 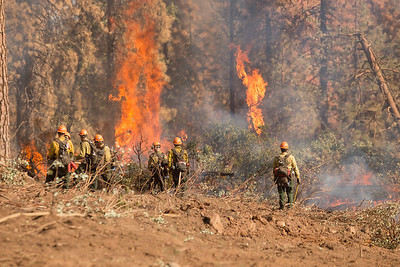 Hiking the line back up, shots of the post burn effects and a long shot of the column from a distance to the east.